Leaves 2-3, 10-70 cm; blade barely keeled. Scape shorter than 65 cm, smooth. Inflorescences umbellate, dense, 2-15-flowered; bracts whitish to dark purple, ovate to lanceolate, 7-20 mm. 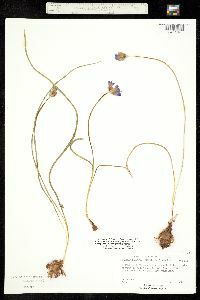 Flowers horizontal or erect; perianth blue, bluish purple, pinkish purple, or white, tube narrowly cylindrical to short-campanulate, not constricted above ovary, 3-12 mm, lobes usually ascending or widely spreading, 7-12 mm; perianth appendages slightly reflexed distally, leaning toward anthers to form corona, white, lanceolate, 4-6 mm, apex deeply notched; stamens 6, smaller 3 on outer tepals alternating with larger 3 on inner tepals; outer filaments wider than inner at base, 2 mm; outer anthers 2-3 mm, inner 3-4 mm; ovary sessile, ovoid, 4-8 mm; style 4-8 mm; pedicel 1-35 mm. 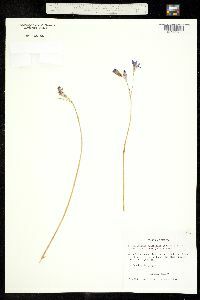 Dichelostemma capitatum is the most wide-ranging species in the genus, with great variation in habitat, morphology, and chromosome number (G. Keator 1992). Two subspecies are recognized here, after G. Keator (1991, 1993b), but many other subspecies and even separate species have been recognized. 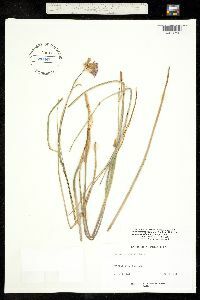 For example, D. insulare has been recognized because it is endemic to the California Channel Islands and Guadalupe Island and is larger than mainland plants. 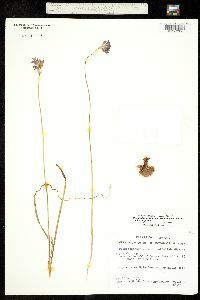 Dichelostemma capitatum ranges from northern Mexico through California, Oregon, Nevada, New Mexico, and possibly north to Idaho and Washington. 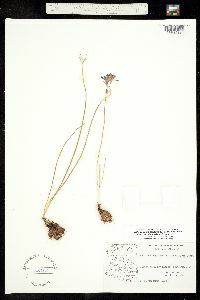 Despite its great intraspecific variability, it is quite distinct from other species in the genus. 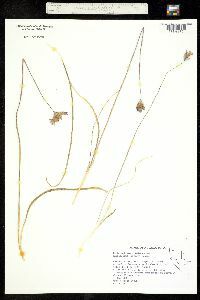 It is the only species with six fertile stamens and epigeous germination, and it has unique corm, seed, and ovule characteristics. 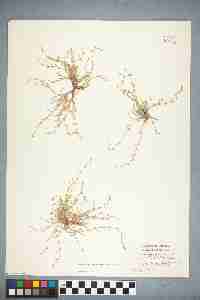 It also does not form hybrids with any other species, and it has even been placed in its own genus, Dipterostemon (P. A. Rydberg 1912). 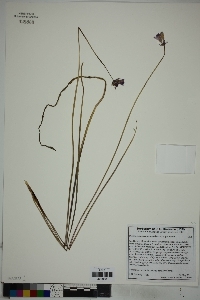 Recent anatomical and molecular data support the idea that this species is not directly related to the other members of Dichelostemma and perhaps is best treated as its own genus (R. Y. Berg 1996; J. C. Pires 2000).